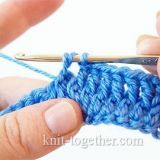 Knit Together | Crochet Ripple Stitch Pattern #1 with photo, description and crochet chart. 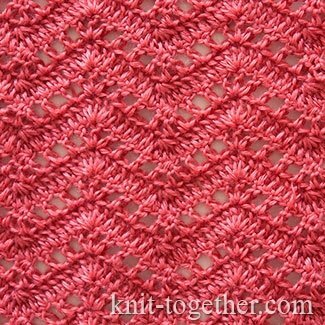 This ripple stitch pattern can be called universal. 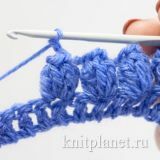 You can use it as for crochet the clothes and items of interior. It is especially good for scarves, stoles and plaids. 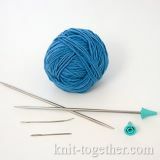 And the use of yarns of different colours will further expand your opportunities. 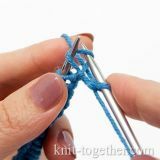 For a swatch make chain stitches a multiple of 16, plus 8 chains for the symmetry of the pattern, plus 3 turning chains. 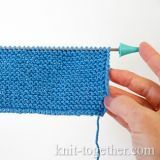 The rapport of the pattern in height - 2 row. 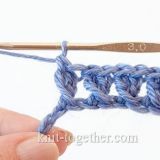 3 row: 2 turning chains, 2 double crochet with common top in next 2 stitches, 5 double crochet in each stitch of previous row, * bundle of 5 double crochet in central of 5 double crochet of previous row, 5 double crochet in each stitch of previous row, 5 double crochet with common top in next 5 stitches, 5 double crochet in each stitch of previous row *, bundle of 3 double crochet in 2nd and 4th last chains. 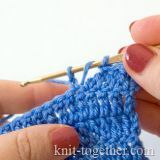 The rapport of the pattern - 2 row. Then, continue alternating the 2nd and 3rd rows.